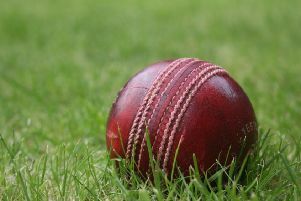 Sproxton were crowned Division Two champions of the Grantham and Melton Cricket Association without having to bowl a ball in anger. Their final match at Market Overton was conceded, giving them 20 points which leapfrogged them above long-time leaders Illston Abbey who had to settle for the second promotion spot, just ahead of Queniborough Seconds and Frisby, Hoby and Rotherby. Just one game remains in the division with mid-table Croxton Kerrial hosting Market Overton this weekend, looking for a repeat of Sunday’s five-wicket win in the reverse fixture. The Division One programme ended on Sunday, and Ashby Carington sealed a third place finish with victory at Belvoir. Louis Massarella hit an unbeaten 121 and Jay Dyer made 55 as Ashby posted 273-4 from their 40 overs. Dan Wilson (64) and Gareth King (70) gave the hosts a sniff of chasing down the imposing target, but they fell 30 runs short at 243-7. British Shoe Corporation’s 15-run win at Sileby on Sunday, means Queniborough must wait until this weekend to clinch the Premier Division title. Queniborough, who are bidding for a fourth straight title, need just three points when they travel to Corporation, their nearest rivals, this Sunday in the final match of the season.